The American Red Cross (ARC), also known as The American National Red Cross,  is a humanitarian organization that provides emergency assistance, disaster relief, and disaster preparedness education in the United States. It is the designated US affiliate of the International Federation of Red Cross and Red Crescent Societies and the United States movement to the International Red Cross and Red Crescent Movement. Clarissa "Clara" Harlowe Barton was a pioneering nurse who founded the American Red Cross. She was a hospital nurse in the American Civil War, a teacher, and patent clerk. 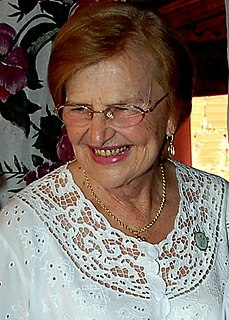 Nursing education was not very formalized at that time and she did not attend nursing school, so she provided self-taught nursing care. Barton is noteworthy for doing humanitarian work at a time when relatively few women worked outside the home. She was inducted into the National Women's Hall of Fame in 1973. Omar Dwight Conger was a U.S. Representative and U.S. 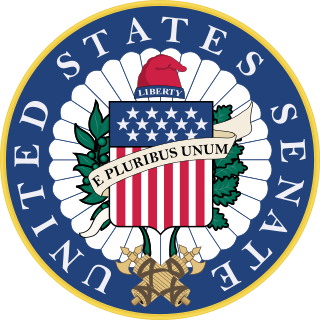 Senator from the U.S. state of Michigan. Jane Arminda Delano, born March 13, 1862 in Montour Falls, New York – died April 15, 1919 in Savenay, Loire-Atlantique, France, was a nurse and founder of the American Red Cross Nursing Service. The American Red Cross Nursing Service was organized in 1909 by Jane Arminda Delano (1862-1919). A nurse and member of the American Red Cross, Delano organized the nursing service as the reserve of the Army Nurse Corps to be ready just before the entry of the United States into World War I. Key wartime decisions were made by Delano along with Mary Adelaide Nutting, president of the American Federation of Nurses, and Annie Warburton Goodrich, dean of the Army School of Nursing. Barton became President of the American branch of the society, known as the American National Red Cross in May 1881 in Washington. The first chapters opened in upstate New York, where she had connections. 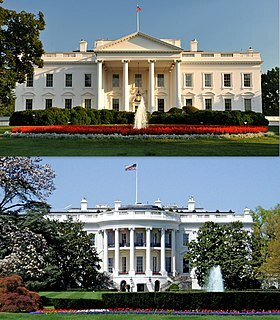 Ultimately, John D. Rockefeller and four others donated money to help create a national headquarters near the White House. Frederick Douglass, famed abolitionist and friend of Clara Barton offered advice and support as Barton sought to establish the American chapter or the global Red Cross network. As Register of Deeds for the District of Columbia, Douglass also signed the original Articles of Incorporation for the American Red Cross. ARC supplies roughly 40% of the donated blood in the United States, which it sells to hospitals and regional suppliers. Community-based blood centers supply 50% and 6% is collected directly by hospitals. In December 2004, ARC completed its largest blood processing facility in the United States in Pomona, California, on the campus grounds of the California State Polytechnic University, Pomona. Leukocytes (white blood cells) help fight off foreign substances such as bacteria, viruses, and abnormal cells. In fact, these foreign leukocytes in transfused red blood cells and platelets are often not well tolerated and have been associated with some types of transfusion complications. Leukocytes in stored blood products can have a variety of biological effects, including depression of immune function, which can result in organ failure and death. Because whole blood is rarely used for transfusion and not kept in routine inventory, leukoreduced red blood supplies are critical. After collection, the whole blood is separated into red cells and plasma by centrifugation. A preservative solution is mixed with the red cells and the component is filtered with a leukoreduction filter. The shelf life of this product is 42 days. ARC is moving toward system-wide universal prestorage leukocyte reduction to improve patient care. From 1976 through 1985, the FDA received reports of 355 fatalities associated with transfusion, 99 of which were excluded from further review because they were unrelated to transfusion or involved hepatitis or acquired immune deficiency syndrome. While the FDA has not yet made a leukoreduction a requirement, ARC took a leading role in implementing this procedure with a goal of leukoreducing all blood products. More than 70 percent of ARC red blood cell components undergo prestorage leukoreduction, a filtering process that is done soon after blood is donated. ARC operates the Jerome H. Holland blood laboratory in Rockville, Maryland. Each year,[ when? ] the Red Cross invests more than $25 million in research activities at the Holland Laboratory and in the field. There are three entities that can run American Red Cross courses; The American Red Cross, Authorized Providers, and Licensed Training Providers. The American Red Cross runs many of its own courses that can be conducted on land such as First Aid/CPR/AED and Basic Life Support for Healthcare Providers. There are a number of courses that require aquatic facilities to run, such as Lifeguarding and Water Safety Instructor. These courses are generally left to Authorized Providers (colleges, government agencies, fire departments, community centers) and to Licensed Training Providers (LLC. or Inc.). An example of ARC International Services health programming is the Measles Initiative, launched in 2001, as a partnership committed to reducing measles deaths globally. The initiative provides technical and financial support to governments and communities on vaccination campaigns and disease surveillance worldwide. Leading these efforts are ARC, the U.S. Centers for Disease Control and Prevention, the United Nations Foundation, UNICEF and the World Health Organization. The Measles Initiative has supported vaccination campaigns in more than 60 countries, mostly in Africa and Asia. Since 2001, the initiative has helped vaccinate one billion children in more than 60 developing countries. The initiative supported the distribution of more than 37 million insecticide-treated mosquito nets for malaria prevention, 81 million doses of de-worming medicine, 95 million doses of polio vaccine, and 186 million doses of Vitamin A.
ARC provides emergency and non-emergency services to the United States military. The most notable service is emergency family communications, where families can contact the Red Cross to send important family messages (such as a death in the family, or new birth). ARC can also act as a verifying agency. The agency operates call centers to provide these services. ARC works closely with other military societies, such as the Department of Veterans Affairs, to provide other services to service members and their families. ARC is not involved with prisoners of war; these are monitored by the International Committee of the Red Cross, an international body. During World War II, ARC operated the American Red Cross Clubmobile Service to provide servicemen with food, entertainment and "a connection home." 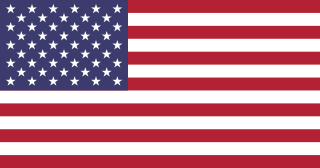 In a June 18, 1945, address to Congress, General Dwight D. Eisenhower said of the Red Cross service in World War II, "The Red Cross, with its clubs for recreation, its coffee and doughnuts in the forward areas, its readiness to meet the needs of the well and to help minister to the wounded has often seemed the friendly hand of this nation, reaching across the sea to sustain its fighting men." An account of one World War II American Red Cross Girl is recorded in Destination Unknown by Kathleen Cox; her mother, LeOna Cox, was recruited to Red Cross Service by a fellow teacher at Allegheny College. Another account of an American Red Cross World War II worker is related in letters by Evelyn Merritt Welden, compiled in the book How to Play During a War: A Free Spirit's Life in Letters, by her son, Lynne Whelden. On August 7, 2007,  Johnson & Johnson (J&J) filed suit against ARC over its sublicensing of the Red Cross image for the production of first aid kits and similar products, which it alleged competed with the company's products. The suit also asked for the destruction of all non-Johnson & Johnson Red Cross Emblem bearing products and demanded that ARC pay punitive damages and J&J's legal fees. The FDA took court action against ARC in response to deficiencies in their procedures for ensuring blood supply safety. The resulting consent decree outlines violations of federal law that ARC engaged in before 1993. ARC paid millions of dollars in fines. ARC Biomedical Services instituted a standardized computer system to maintain the blood donor database; five National Testing Laboratories (NTLs) that test some six million units of blood annually;  the Charles Drew Biomedical Institute, which provides training and other educational resources to Red Cross Blood Services' personnel; a Quality Assurance/Regulatory Affairs Department, which helps to ensure regulatory compliance; and, a centrally managed blood inventory system. The Canadian Red Cross Society is a Canadian humanitarian charitable organization, and one of 190 national Red Cross and Red Crescent societies. The organization receives funding from both private donations and from Canadian government departments. LDS Humanitarian Services is a branch of the Welfare Services department of The Church of Jesus Christ of Latter-day Saints. The organization's stated mission is to relieve suffering, to foster self-reliance for people of all nationalities and religions, and to provide opportunities for service. Disaster response is the second phase of the disaster management cycle. It consists of a number of elements, for example; warning/evacuation, search and rescue, providing immediate assistance, assessing damage, continuing assistance and the immediate restoration or construction of infrastructure .The aim of emergency response is to provide immediate assistance to maintain life, improve health and support the morale of the affected population. Such assistance may range from providing specific but limited aid, such as assisting refugees with transport, temporary shelter, and food, to establishing semi-permanent settlement in camps and other locations. It also may involve initial repairs to damaged or diversion to infrastructure. The Hong Kong Red Cross is the national Red Cross society of Hong Kong as part of the International Red Cross and Red Crescent Movement. It was established officially on 12 July 1950 as a branch of the British Red Cross Society in Hong Kong. Since 1 July 1997, upon the transfer of Hong Kong's sovereignty to the People's Republic of China, the Hong Kong Red Cross has changed its affiliation to become a special branch of the Red Cross Society of China, but remains autonomous from it. The disaster recovery response to Hurricane Katrina included federal government agencies such as the Federal Emergency Management Agency (FEMA), the United States Coast Guard (USCG), state and local-level agencies, federal and National Guard soldiers, non-governmental organizations, charities, and private individuals. Tens of thousands of volunteers and troops responded or were deployed to the disaster - most in the affected area but also throughout the U.S. at shelters set up in at least 19 states. Turkish Red Crescent is the largest humanitarian organization in Turkey and is part of the International Red Cross and Red Crescent Movement. The Armenian Relief Society (ARS), is an independent, nonsectarian, philanthropic society serving the humanitarian, social and educational needs of Armenians and non-Armenians alike. It operates as a non-governmental organization and has entities in 27 countries. Citizen Corps is a program under the Department of Homeland Security that provides training for the population of the United States to assist in the recovery after a disaster or terrorist attack. Each local Citizen Corps Council partners with organizations, volunteers and businesses to organize responders, volunteers and professional first responders for an efficient response so efforts aren't wasted by being duplicated. By training in Incident Command, volunteers know who to report to and how the incident is organized. This prevents sites from being inundated by untrained and unprepared people milling about and getting in the way. Citizen Corps also works in conjunction with the Corporation for National and Community Service in promoting national service opportunities for promoting homeland security needs. The Lebanese Red Cross (LRC) is a humanitarian organization and an auxiliary team to the medical service of the Lebanese Army. Its headquarters is in the Lebanese capital city of Beirut. Founded in 1945, the organization comprises a number of approximately 7,000 members/volunteers and 200 staff personnel. The society works with the International Federation and the ICRC, and on a bilateral basis with the Norwegian and the French Red Cross. The LRC also works with the relevant components of the Lebanese authorities, with UN agencies and NGOs. Nepal Red Cross Society (NRCS)(Devnagari: नेपाल रेडक्रस सोसाइटी) is an independent, volunteer-based and nonprofit-humanitarian organization that delivers humanitarian service and support to the vulnerable people in an impartial and neutral manner. It came into being on 4 September 1963. Nepal Red Cross Society was officially registered in Nepal after Nepal Government acceded to the Geneva Conventions. Having been recognized by the International Committee of the Red Cross (ICRC) and affiliated to International Federation of Red Cross and Red Crescent Societies (IFRC) on 1 October 1964. The Swiss Red Cross, or SRC, is the national Red Cross society for Switzerland. The Finnish Red Cross is an independent member of the International Federation of Red Cross and Red Crescent Societies, which is one of the biggest and best-known international organisations in the world and in the field of humanitarian aid. FRC has over 90,000 members and around 45,000 active volunteers in Finland. FRC consists of 12 regional chapters and 550 local branches throughout the country. The current General Secretary is Ms. Kristiina Kumpula. At the end of 2006, the FRC employed 1,168 people, of which 136 worked at the headquarters in Helsinki. 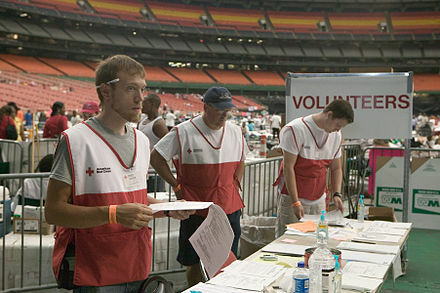 The National Voluntary Organizations Active in Disaster is a coalition of the major national voluntary organizations in the United States that have made disaster-related work a priority. National VOAD member agencies provide skilled direct services along the continuum from disaster prevention and preparation to response, recovery, and mitigation. NVOAD is the only nationwide organization of VOAD members in the United States. The humanitarian response by non-governmental organizations to the 2010 Haiti earthquake included many organizations, including international, religious, and regionally based NGOs, which immediately pledged support in the aftermath of the 2010 Haiti earthquake. Besides a large multi-contingency contribution by national governments, NGOs contributed significantly to both on-the-ground rescue efforts and external solicitation of aid for the rescue efforts. A Disaster Action Team is the local disaster response unit in chapters of the American Red Cross. The Mexican Red Cross is a non-governmental humanitarian assistance organization affiliated with the International Federation of Red Cross and Red Crescent Societies to help those in dangerous situations, such as natural disasters, as well as providing human health services. The organization finances its aid, assistance, and education programs through the work of thousands of volunteers and donation from individuals, institutions, organizations, associations and companies. 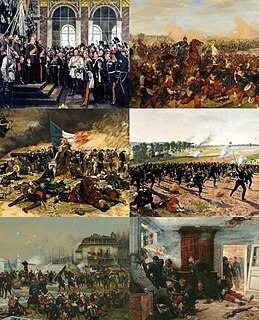 It originated with a presidential decree in 1910 and was recognized internationally in 1912. Today it participates in national and international aid and disaster relief missions as well as various health services, training in first aid and for emergency medical technicians. Early in its history, it developed a program in nursing, which eventually became the Escuela Nacional de Enfermería y Obstetricia, today part of the National Autonomous University of Mexico. Red Paw Emergency Relief Team is a Philadelphia-based nonprofit emergency service dedicated to helping pets displaced by house fires and other residential disasters. Their goal is to reunite pets with their families once they have recovered and reduce the number of animals surrendered to shelters due to sudden hardship. The team works with local chapters of the American Red Cross, fire departments, and other disaster relief organizations to provide search and rescue, emergency transport, veterinary care, shelter and supplies for affected pets, at no cost to their owners. 1 2 "Leaders of the American Red Cross". American Red Cross. Retrieved August 22, 2011. ↑ "American Red Cross 2017 Audit and Consolidated Financial Statements" (PDF). ↑ "Congressional Charter of the American Red Cross" (PDF). May 2007. ↑ "What We Do | Red Cross | Disaster Relief, Emergency Management". American Red Cross. Retrieved September 18, 2015. ↑ "Everyone has a Ball at Rhapsody in Red 2001". American Red Cross. 2001. Archived from the original on July 13, 2001. Retrieved February 10, 2019. ↑ Haug, Hans; Gasser, Hans-Peter; Perret, Françoise; Robert-Tissot, Jean-Pierre; Henry-Dunant, Institut (1993). Humanity for all : the International Red Cross and Red Crescent Movement. p. 261. ISBN 9783258047195. ↑ "The Story of My Childhood". World Digital Library . 1907. Retrieved October 9, 2013. ↑ Marks, Mary Jo. "Clara Barton in Dansville, 1866 and 1876–1886". Dansville Historical Society. Retrieved July 1, 2009. ↑ "Article". Cheney Sentinel . Cheney, Washington. September 13, 1889. p. 1. ↑ Little, Branden (August 2013). "Review of Jones, Marian Moser. The American Red Cross from Clara Barton to the New Deal". H-SHGAPE, H-Net Reviews. ↑ Strom, Stephanie (April 18, 2007). "American Red Cross Announces New Chief". The New York Times. Retrieved April 18, 2007. ↑ "Overall Score & Rating". Charity Navigator. Retrieved November 30, 2017. ↑ "CharityWatch Report". CharityWatch. Retrieved November 30, 2017. 1 2 3 4 5 6 7 8 9 10 11 12 13 14 15 16 17 18 19 20 21 22 23 24 25 26 27 28 29 30 31 32 33 34 35 36 37 38 39 40 41 42 43 Binheim, Max; Elvin, Charles A (1928). Women of the West; a series of biographical sketches of living eminent women in the eleven western states of the United States of America . Retrieved August 8, 2017. This article incorporates text from this source, which is in the public domain. ↑ Bullough, Vern L. (2000). American Nursing: A Biographical Dictionary:, Volume 3. Springer Publishing Company. p. 71. ISBN 9780826111470 . Retrieved September 9, 2017. ↑ "Crescenta Business Pioneer Succumbs to Heart Failure – 18 Apr 1982, Sun • Page 170". The Los Angeles Times. 1982. p. 170. Retrieved September 9, 2017. ↑ "Biologue of Founder Violet Richardson-Ward" . Retrieved October 4, 2017. ↑ "Gertrude B. Wilder – 15 Apr 1955, Fri • Page 7". The San Bernardino County Sun. 1955. p. 7. Retrieved October 5, 2017. ↑ Murphy, Heather (September 11, 2006). "Does the Red Cross sell blood?". Slate.com. Retrieved March 8, 2012. ↑ "Baxter and the American National Red Cross Agree to Terminate Contract Manufacturing Arrangement for Plasma Products". Baxter.com (Press release). March 1, 2005. Archived from the original on November 1, 2012. Retrieved October 27, 2015. ↑ Barrington, K.; Fergusson, D.; Hebert, P.; Joseph, L.; Lee, S.; Walker, R. (2003). "Clinical Outcomes Following Institution of Universal Leukoreduction of Blood Transfusions for Premature Infants". JAMA. 289 (15): 1950–56. doi:10.1001/jama.289.15.1950. PMID 12697797. ↑ Grimes; Kaler; Obezrz; Sazama; Shriver (2003). "Reports of 355 Transfusion-Associated Deaths: 1976 Through 1985". Transfusion. 30 (7): 583–90. doi:10.1046/j.1537-2995.1990.30790385515.x. PMID 2402771. ↑ "Red Cross Training | Take a Class | Red Cross". Red Cross. Retrieved 2018-10-30. ↑ "First Aid Kits, Emergency Essentials, & Survival Kits | Red Cross Store". Red Cross. Retrieved 2018-10-30. ↑ "Licensed Training Provider | Instructor Training | Red Cross". Red Cross. Retrieved 2018-10-31. ↑ "Science Behind Our Programs | Science Advisory Council | Red Cross". ↑ "American Red Cross – Community Services". American Red Cross. Archived from the original on August 25, 2007. Retrieved April 18, 2008. ↑ "FEMA And American Red Cross Partnership Will Strengthen Mass Care During A Disaster". Federal Emergency Management Agency. October 22, 2010. Archived from the original on January 8, 2011. ↑ "National Response Framework". Federal Emergency Management Agency. Archived from the original on August 20, 2011. Retrieved August 18, 2011. ↑ Khwaja, Barbara (May 26, 2017). "Health Reform in Revolutionary Russia". Socialist Health Association. Retrieved May 26, 2017. ↑ Hurricane Season 2005 Archived May 1, 2006, at the Wayback Machine , American Red Cross website, June 30, 2006. Retrieved April 18, 2007. ↑ Lawson, Katie (August 26, 2006). "Red Cross Responds to Commercial Jet Crash in Kentucky". American Red Cross. Archived from the original on January 3, 2007. Retrieved April 18, 2007. ↑ "American Red Cross Mobilizes Resources in Central Florida: List Your Loved Ones on Safe And Well Website". RedCross.org. Archived from the original on December 22, 2008. Retrieved October 27, 2015. ↑ Hackett, Alexandra. "Volunteers descend on Central Florida" Archived March 2, 2007, at the Wayback Machine , tampabays10.com. Retrieved April 18, 2007. ↑ "American Red Cross responding to Midwest Tornadoes". RedCross.org (Press release). May 5, 2007. Archived from the original on December 11, 2007. Retrieved October 27, 2015. ↑ Boone, Beth (August 3, 2007). "Red Cross Chapter Serves as Focal Point of Response Efforts". The American National Red Cross. Archived from the original on August 11, 2007. Retrieved August 28, 2007. and "Red Cross on Scene of Minneapolis I-35W Bridge Collapse" (Press release). The American National Red Cross. August 2, 2007. Archived from the original on August 18, 2007. Retrieved August 28, 2007. ↑ O'Connor, Debra (August 24, 2007). "How to give wisely after Minnesota's disasters". Pioneer Press. MediaNews Group, Inc. Archived from the original on November 7, 2007. Retrieved August 25, 2007. ↑ Louwagie, Pam (September 10, 2007). "Bridge Disaster Fund tops $564,000". Star Tribune. Avista Capital Partners. Archived from the original on November 1, 2007. Retrieved September 10, 2007. ↑ Minnesota designated counties are found in three places: Farm Service Agency Public Affairs Staff (August 7, 2007). "USDA Designates 24 Minnesota Counties as Primary Natural Disaster Areas" (Press release). Farm Service Agency, U.S. Department of Agriculture. Retrieved August 25, 2007. and Preston, Steven C. (August 22, 2007). "Disaster Declaration #10991" (PDF). U.S. Small Business Administration. Archived from the original (PDF) on September 25, 2007. Retrieved August 25, 2007. and "Designated Counties for Minnesota Severe Storms and Flooding (Disaster Summary For FEMA-1717-DR, Minnesota)" (Press release). Federal Emergency Management Agency. August 23, 2007 [updated August 28, 2007]. Archived from the original on September 29, 2007. Retrieved August 28, 2007. ↑ "June 2011 Progress Report for the Red Cross Response" (PDF). Retrieved August 18, 2011. ↑ "In Search of the Red Cross' $500 Million in Haiti Relief". ↑ "Report: Red Cross Spent 25 Percent of Haiti Donations on Internal Expenses". ↑ McDonald, Jeff (January 19, 2013). "Military notification funds spent other ways Red Cross programs that got funding included Bike-O-Rama, Starbucks giveaway". San Diego Union-Tribune. Retrieved January 21, 2013. ↑ Jowers, Karen (June 4, 2015). "Red Cross begins to address hotline problems". Military Times. Gannett Company. Retrieved June 12, 2015. ↑ "The Milwaukee Journal – Google News Archive". April 10, 1946. Retrieved March 8, 2012. ↑ "Red Cross Charges for Assistance". Snopes.com. Retrieved March 8, 2012. ↑ Cox, Leona; Cox, Kathleen (2009). Destination Unknown. ISBN 9781466412484. ↑ Cox, Kathleen (April 26, 2013). "Book Presentation Webcast". ↑ "Red Cross Attention to Military Members' Needs Questioned". August 24, 2012. Archived from the original on November 21, 2016. Retrieved November 21, 2016. ↑ "Military notification funds spent other ways". Archived from the original on October 11, 2016. Retrieved November 21, 2016. ↑ "J&J (NYSE: JNJ) Sues Red Cross Over Use of Red Cross Emblem". Archived from the original on March 7, 2008. ↑ Foley, Stephen (August 10, 2007). "Johnson & Johnson sues the Red Cross". The Independent. London. Archived from the original on December 30, 2007. Retrieved April 23, 2010. ↑ Johnson & Johnson Press Release Archived August 20, 2007, at the Wayback Machine . Statement on Civil Complaint Against The American National Red Cross. August 9, 2007. ↑ "Opinion and order by U.S. District Court Judge Jed S. Rakoff". Docs.justia.com. Retrieved March 8, 2012. 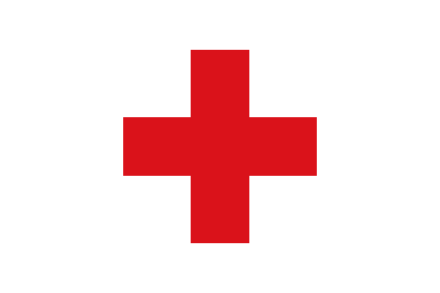 ↑ Claim Over Red Cross Symbol Is Settled Archived February 10, 2016, at the Wayback Machine , The New York Times , June 18, 2008. ↑ Consent Decree Notification , U.S. Food and Drug Administration website, (April 13, 2003). Retrieved on April 18, 2007. ↑ "American Red Cross > Blood Services > National Testing Laboratories". Archived from the original on May 18, 2008. Retrieved July 3, 2008. ↑ Harris, Gardiner (June 10, 2008). "Red Cross Is Fined For Blood Violations". The Washington Post. Retrieved July 27, 2008. ↑ Red Cross Gets Blood Consent Decree Lifted Archived May 30, 2016, at the Wayback Machine , The Nonprofit Times website, (December 15, 2015). Retrieved on December 22, 2015. ↑ "Revised Recommendations for Reducing the Risk of Human Immunodeficiency Virus Transmission by Blood and Blood Products" (PDF). ↑ "Red Cross calls for end to ban on gay blood donors". Advocate.com. Archived from the original on March 16, 2006. ↑ "American Red Cross Fights Ban on Gays' Blood". NPR.org. May 30, 2007. Retrieved March 8, 2012. ↑ "Eligibility Criteria by Topic" . Retrieved December 30, 2016. ↑ "Red Cross probed on Katrina fraud" Archived October 24, 2016, at the Wayback Machine , BBC News Online, March 27, 2006. Retrieved April 18, 2007. ↑ Background Check Fact Sheet, PlainsRedCross.org, July 2006. ↑ "Red Cross 'Diverted Assets' During Storms' Aftermath To Focus On Image". NPR.org. October 29, 2014. ↑ "Red Cross defends response to Hurricane Sandy two years on". PBS.org. October 29, 2014. Retrieved October 27, 2015. ↑ Elliott, Justin; Eisinger, Jesse; Sullivan, Laura (October 29, 2014). "The Red Cross' Secret Disaster". Propublica.org. ProPublica and NPR. Retrieved October 27, 2015. Wikimedia Commons has media related to American Red Cross .